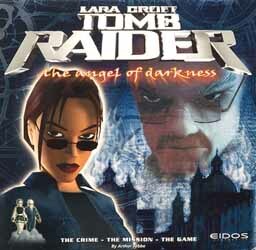 The Angel of Darkness board game is based on the plot of the console game of the same name. Between two and four players can play at any one time. When there are two players, one can play as Lara while the other takes on the role of Eckhardy. 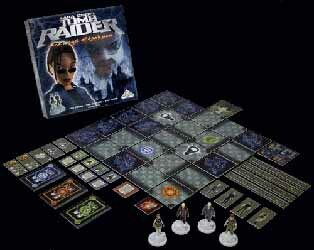 When there are three players, a second bad guy is introduced to try and help outwit Lara. And when there are four players, they must work in two teams. A nice touch is the fact that the board is different with each game - as the board is modular and tile-based. There are also four nicely detailed plastic figurines - which are used as counters (one for each player). The instructions are fairly straight forward, and this is a simple enough game to get into. It has an average game length of around 45 minutes and it's certainly a game you won't get bored of too quickly. It might be a little expensive for what you get, but at least it's better than the Angel of Darkness console game.